Most cuisines of the world would have been incomplete without this small black ball called ‘Black Pepper’ which has a world of spice in it. With a huge list of medicinal properties, pepper plays the home doctor in many Indian homes. Its aroma is a treat to the senses and it is so commonly used that we can almost say that all dishes have a sprinkling of pepper in one form or the other. Intake of ginger juice mixed with a fine powder of pepper corns provides relief in cases of indigestion. Including a chutney made with garlic cloves and a dash of few pepper corns not just aids digestion but is also good for overall health. When hunger pangs seem to have deserted you and nothing works in tantalizing your willful taste buds in appreciating even a morsel of delectable food, chew on a paste of pepper powder mixed with a tsp of honey and you will find your appetite restored in a matter of a day. Use the same recipe as above for relief. For intestinal worms, drink a decoction (Kadha) with pepper corns as one of the ingredients. For those bothered by flatulence (gas) and a bloated, full feeling in the abdomen all the time an intake of rasam prepared with pepper corns, cumin (jeera) and crystal salt provides relief. For toothache, make a decoction of pepper by adding 1/8 th tsp of black pepper to ½ cup of boiling water. Stir, cover and simmer on low heat for 7 minutes. Steep, still covered for another 15 minutes. Strain. Rinse the mouth with small sips with warm decoction. Retain the liquid in the mouth for a minute or so. Smearing a paste of pepper corns on affected parts provides respite from all kinds of pain and swellings. Black pepper oil can also be used for massage by blending (diluting) it with some other vegetable oil, or diluted in a bath to assist with circulation, bruises, rheumatoid arthritis and muscular pains. Add jaggery to a cup of water and boil. Then add pepper powder and honey and take it. Sucking three pepper corns with a pinch of ajwain (Bishop’s weed) seeds and a crystal of common salt is also an effective remedy for cough. When cold is accompanied by a spell of nagging cough just chew on 2-3 cloves with crystal sugar for relief. Apply externally on affected parts a mixture of pepper powder and ghee. It is believed to help in eczema, scabies and all kinds of allergic rashes and skin disorders associated with oozing and itching. During a spell of fever which is accompanied by chills, taking a decoction prepared by boiling water with pepper corns is found to reduce rigors and lower temperature. Roasted pepper powder with water helps to quench excessive thirst. Pound pepper corns with water on a clean stony surface and apply it over your pimples to dry them up. So have you used black pepper to cure any ailment? Do try some of the above mentioned home-remedies for your health issues and drop a comment to say whether they worked for you. You can use Red Pepper for accelerating digestion and burn fat faster. Any hot or pungent spice has the potential to improve digestion and raise metabolism, so it would most likely contribute more to weight loss than weight gain. However, research by King's College (London) Department of Pharmacy indicates that piperine, an alkaloid component of black pepper, can significantly stimulate melan-a cell growth, which can result in the growth of more moles and an increased risk of skin cancer. You might want to switch to red (cayenne) pepper to spice up your foods. It has all of the benefits of black pepper and none of the possible problems. pepper has traditionally been used to improve circulation and to treat pain. Like cinnamon, it can help to lower cholesterol and triglyceride levels.It improves overall health, reducing arthritic pain, boosting immunity, and curing colds. Are you suffering from a chest cold? Add Black Pepper to your diet, and this spice will help break-up the congestion, especially if you add it to a strong, steaming hot cup of mint tea. Another amazing health benefit of Black Pepper is, that it's a handy spice to have in the kitchen for when you cut yourself. The next time you have a minor cut, sprinkle Black Pepper on it. It will help stop the bleeding. Plus, it's antibacterial properties will promote healing and kill germs. * It has good anti bacterial properties and that too, without side effects. It is very effective in curing bacterial infections in mouth, colon, digestive system, urinary tract etc. It also disinfects food stuffs in which it is added and protects them from bacterial infections for long. Black Pepper oil is rich in certain very useful minerals and vitamins too. For example, there is vitamin-A (Beta Carotene) in it, which is very beneficial for ocular health as well as is a very good anti oxidant. It has vitamin-K which is essential for maintaining proper circulatory and metabolic functions, muscles, bones etc. Then it has calcium, potassium and selenium. While calcium is good for bones and potassium for regulating blood pressure, selenium is essentially required for proper formation of bones, nails, hair, follicles and teeth and for proper functioning of brain. It is pitta suppressant vata and kapha aggravator. It has a strong erge to suppress any kind of infection occurring in the body due to its pungent taste. It helps in en espelling out the mucus that gets accumulated in the respiratory tract and also strengthens the nervous system. It is good digestive agent and help improving the gastrointestinal condition and also normalizes the peristaltic movements. It has a great effect on respiratory tract. Black pepper essential oil as a cosmetic ingredient Black pepper essential oil has good rubefacient and analgesic properties for skin care and therefore has a warming effect, which stimulates blood flow while reducing pain. It is also most effective in dispersing bruising. Black pepper oil can be used to help in the treatment of pain relief, rheumatism, chills, flu, colds, to increase circulation, relieve exhaustion, calm muscular aches, physical and emotional coldness, as a nerve tonic and to relieve fevers. It is especially effective when treating bruises on the skin, and it rubefacient property makes it very valuable when you wish to increase circulation to the skin and the supportive tissue underneath the skin. Due to fact that black pepper essential oil helps to boost circulation and has a "warming" action on the skin, it was included in our cellulite cream. Cayenne pepper renders healing blood into sick or failing organs better than any other herb or medicine. WOW! No I know where all of the good spices come from or originated from! Good info! 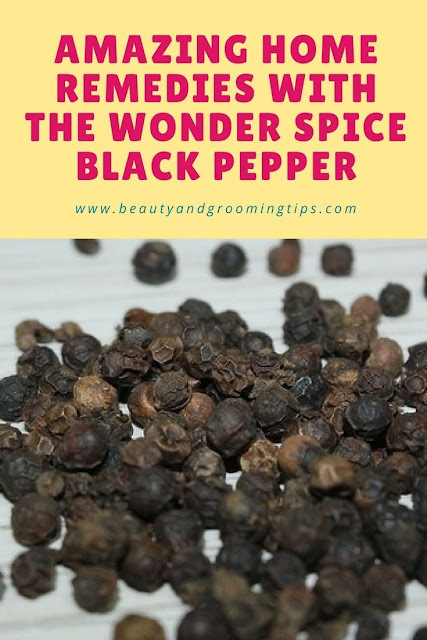 Black pepper exhibits immunomodulatory properties and is capable of boosting the number and the efficacy of white cells, thereby assisting the body to mount a powerful defense against invading microbes and cancer cells. By increasing the bioavailability of other anti-tumourigenic spices, black pepper dramatically increases their potency and effectiveness against cancer. In addition to this important property, black pepper also counteracts cancer development directly. yes, it is useful for sinus and allergy treatment.